Press Eye - Belfast - Northern Ireland 20th April 2016 - Photo by Kelvin Boyes / Press Eye. What is the most likely way to deliver success on the cricket field? To stick with a successful formula and with the players who delivered two trophies last summer? Or go in the opposite direction, start with almost a blank canvas and build an entirely new team, even though you won a cup double in 2015? In the first corner is Waringstown, the Ulster Bank Premier League champions and Irish Cup holders, who are broadly sticking with the template that brought them a double last season, and in the second is CIYMS, who may start the season this Saturday with just a handful of survivors from 2015’s Challenge Cup and Lagan Valley Steels Twenty20 Cup successes. To be fair the revolving door at Belmont isn’t all of CI’s making. They have made four new signings, but the eight departures leave holes in batting and in the spin department. The batting, when it comes off, will be explosive, but it lacks depth. However, if anyone can pull together a disparate group of big-name players and mould them into trophy contenders at short notice it is Nigel Jones, who succeeded Chris Dougherty as captain. Jones was a disappointment in his first season at Belmont, but appointing him captain could be a masterstroke. Not only will the extra responsibility stir Jones’ competitive juices and inspire him to bat and bowl better than he did last summer, the Kiwi-born all-rounder possesses the priceless ability to inspire others. He did it year in, year out, for CSNI and with Jones in charge, the possibility of an implosion at Belmont has receded dramatically. In addition he has the best pace attack in the NCU at his disposal. In sharp contrast only Derriaghy, the newly-promoted club, have done less business than Waringstown. The villagers have changed professional, Ruhan Pretorius jettisoned despite playing a pivotal role in last summer’s double, but the remainder of that essentially young team is intact. Without Pretorius’ two blistering centuries at Clontarf and Pembroke, Waringstown simply wouldn’t have reached the Irish Cup final, but the South African sealed his own fate, returning home before the showpiece with Merrion when remaining for just an extra seven days would effectively have sealed his return plane ticket. Cobus Pienaar, the replacement, is a top-order batsman who bowls some seam-up and it is Waringstown’s lack of quality new-ball support for Phil Eaglestone that is their only obvious weakness. Complacency could yet be their biggest enemy though. When the villagers won two competitions in each of the 2011 and 2013 campaigns, their summers of 2012 and 2014 yielded just a single trophy success. A disappointing pre-season should sound an alarm bell and Pienaar, known for his high standards, could be just what they need. The best equipped to challenge Waringstown and CI are Instonians, who have strengthened their squad considerably after a disappointing 2015. Rusty Theron should be a stellar professional, Robert McKinley will be a formidable all-rounder depending on his availability and coupled with Australian Nathan Smith, the seam bowling, for so long a weakness, has serious cutting edge. Inst will be dependent, as ever, on James Shannon and Andrew White for the bulk of their runs. Neil Russell will start the season against Civil Service North but it remains to be seen how much Shaw’s Bridge sees of the big-hitting opener, who now lives in Manchester. North Down, the surprise package of 2015, will do well to repeat those heroics. Taimur Khan and Andrew Sutherland are significant losses and Daniel Graham, the improving opening batsman, has relocated to Dublin. Stylish South African professional Pieter Malan will score heavily and Jacob Mulder (how CIYMS must regret losing him) comes with wicket-taking guarantees. However, the key will be whether Peter Eakin, Alistair Shields and Peter Davison continue to improve and deliver on their considerable potential. Civil Service North will have been delighted to have added Graeme McCarter, the Ireland bowler, to their squad in early winter, but the departure of long-time spearhead Allen Coulter to CIYMS came as a surprise to most observers and a body blow to all at Stormont. Mansoor Amjad was a disappointment in his first season as overseas professional and the suspicion is that CSNI, while very capable of springing surprises, will remain lodged in mid-table. Don’t rule them out of cup contention however. Lisburn, who for so long were relegation strugglers last season, have taken decisive action to avoid a repeat. They were unfortunate that the signing of a crack South African batsman Henrich Klassen fell through, but fellow countryman Cody Chetty should be a sound replacement. However, it is the arrival of the enigmatic Steve Lazars from Ballymena, and the likely return for part of the summer of Nathan Waller, the Zimbabwean all-rounder, that gives them much-needed firepower. Captain Adam Berry has enough talent at his disposal, especially with James Magowan likely to be available more often, to stay comfortably clear of the drop zone. Carrickfergus ended last season with breathing space from bottom club Ballymena and they have enough quality to establish themselves in mid-table. Pat Botha, one of six South African professionals in the division, has caught the eye in pre-season and he and Jamie Holmes, fresh from a prolific 2015, should score heavily enough to ensure Iain Parkhill’s team survive with ease. 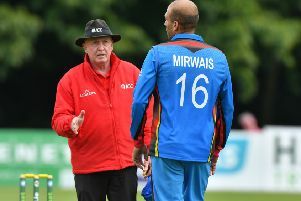 Robert Smith has arrived with a burgeoning reputation from Templepatrick while bowler Alan Armstrong has been snapped up after relocating from England. New boys Derriaghy have been particularly brave, opting not to make a single new signing on their return to the Premier League. In seasoned Indian professional Kaushik Aphale and captain Craig Lewis, they have firepower with the bat, but survival will be a tall order. So where to put your money? Waringstown will start favourites, but retaining a league title is more difficult than winning it, and they must start doing that if they are to be ranked anywhere near the great North Down teams of the previous decade. Instonians are perhaps best placed to capitalise on village complacency in the league while CI may consider that the unpredictable make-up of their team means that knockout competitions represent the best chance of silverware at Belmont.